Many great modern cities are built around rivers – think Rome (the Tiber), Paris (the Seine) or London (the Thames); rivers whose names are synonymous with the cities they flow through. 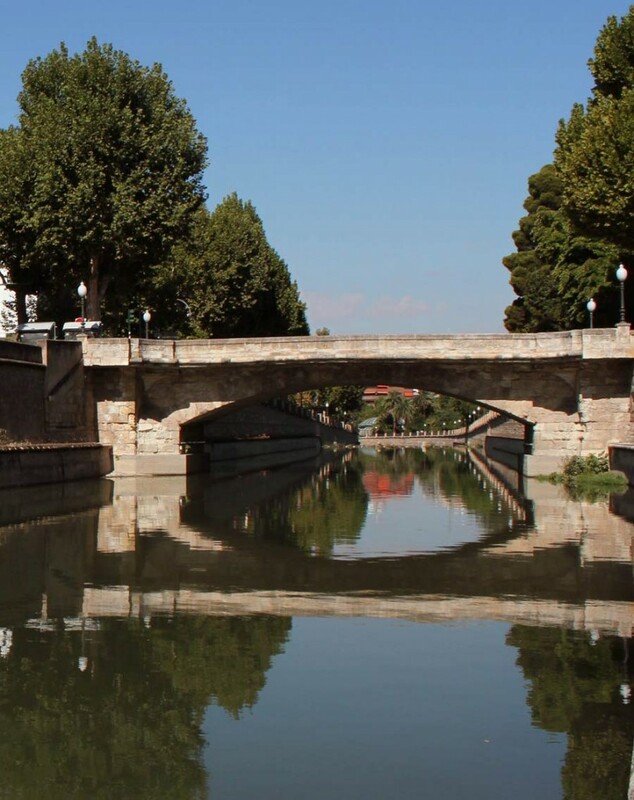 Yet though the city of Granada may not appear on anyone’s list of such great river cities it can actually boast not just one; but two waterways coursing through its heart. The Darro and the Genil straddle the great bluff of rock upon which the Alhambra Palace sits, making strikingly plain the strategic importance of this location for defending the city from marauding armies. Of the two it is perhaps the Darro that has the most colourful history. In ancient times the river was panned for gold and the Romans named it ‘Aurus’ in recognition of the traces of this precious metal regularly extracted from silt deposits. During Granada’s Islamic occupation the river was renamed ‘Hadarro’ by the new Moslem rulers only for later Christian conquerors to re-title it ‘Dauro’, a name that eventually morphed into Darro. The river’s presence, whose source is north of the city in the Sierra de Huetor, has always been highly valued. In 1238 The Nasrid Sultan Ibn al-Ahmar had it partially diverted and pumped uphill, some 6 kilometres, to bring to life the magnificent water features of the Alhambra and to irrigate the Generalife gardens. And yet visitors today strolling along the Paseo de los Tristes, at the foot of the Alhambra will see very little of this special river. What remains on view as it wends its way west, promptly disappears under a bridge and vanishes below Plaza Nueva. What happens to it and where does it go? Well, the river is still there and it still runs through the city – quite literally in fact. It flows under Reyes Catolicos, turns left at Puerta Real, and makes its way underneath the aptly named Acera del Darro before popping out just in front of the capacious Mercadona where it surrenders to the rather larger Genil. If you veer right after coming out of the supermarket and peer down over the bridge before the zebra crossing you can see the two rivers conjoin. The river was paved over in the eighteenth century in an audacious feat of civil engineering as the city grew and expanded. 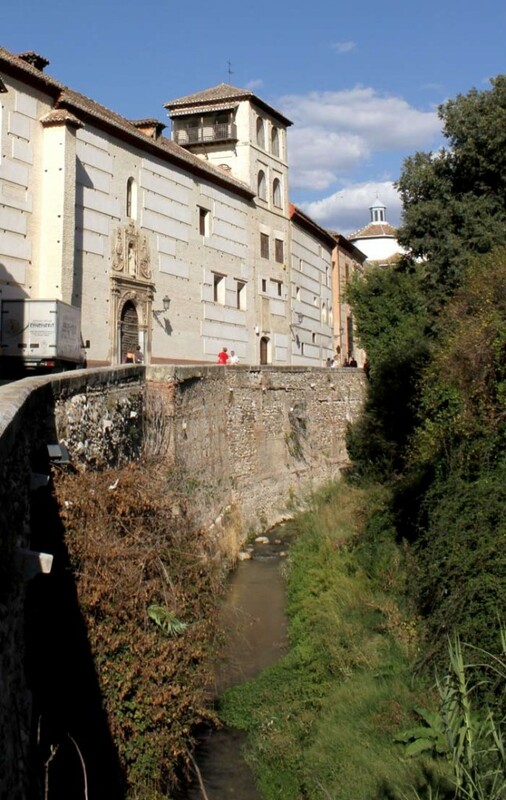 So it’s largely out of sight, that the Darro meanders its final dignified kilometre or so, beneath a daily procession of cars, buses and the feet of thousands of granadinos. Coming down from its source in the Sierra Nevada, the Genil is powered by spring melt water. It’s waters are dammed upstream as part of a large hydro electricity network and channelled into reservoirs supplying the city. The river level notoriously rises and falls throughout the year in accordance with these demands further upstream. Thankfully, on the night Spain won last summer’s World Cup, there was enough water in the bed to accommodate the thousands of revellers who decided to fling themselves off the bridge at the Paseo de Salon. After picking up the Darro the river continues its journey west, via Zaidin and out of the city. 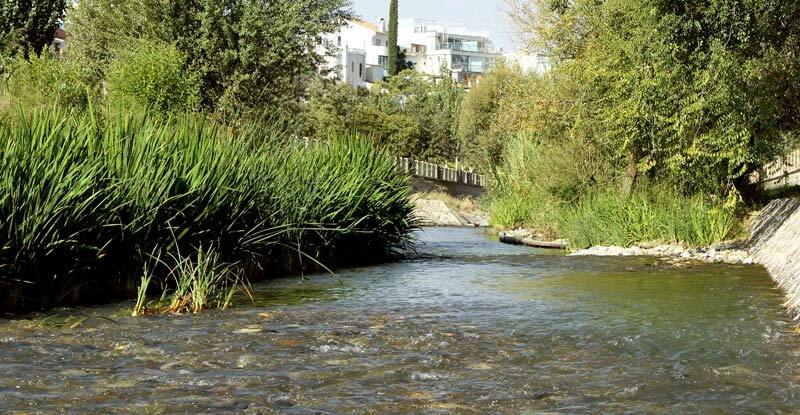 It’s joined by a smaller tributary, the Monachil which also comes down from the Sierra Nevada, before succumbing itself to the huge Guadalquivir – one of Spain’s foremost rivers. Who vanished into thin air.